In today’s article we’re going to focus on some of the most common medications that can really “screw up” a life insurance application. If you’ve been prescribed one of the following medications that we’re going to discuss, it’s probably because you really need to be taking them! There’s two main reasons why you don’t want to stop taking your medications. First, because quitting could be really unhealthy for you, if not life threatening; and secondly, it won’t work. Whether or not you know this, It’s important to understand that when you apply for life insurance you’ll most likely need to allow your insurance company access to your prescription medication records (standard practice with most if not all fully underwritten and simplified issue life insurance policies). So if you’ve been prescribed a medication in the past, the insurance industry is going to know about it. We also what to clarify what we mean by the technical term “screw up”. We use this term to describe a wide range of situations. Situations like being flat out denied a life insurance policy all the way to simply paying too much for your life insurance. So for this reason, if you should happen to see a medication that you’re currently taking listed below, please understand that this does not mean that you can’t get insured or that you’re going to get a terrible deal on your life insurance. What it does mean is that in most cases you’re going to want to work with an insurance brokerage that can “shop” your application around to several different life insurance carriers simply because, due to your prescription medication history, you’re probably going to be considered high risk life insurance. This is the main reason why we at TermLife2Go choose to work with so many different companies, so that we can take advantage of some of the different niche markets some of the top rated ife insurance companies cater to vs others. Pain killers and Muscle Relaxers. For the purposes or our discussion, let’s just ignore the underlying cause of why these medications have been prescribed and focus more on why an insurance company would be hesitant about insuring someone currently taking one of these medications. Both pain killers and muscle relaxants are typically prescribed early in the course of treatment on a short-term basis. One reason for this is that they both run a high risk for dependency and abuse. Additional concerns that an insurance company will have with these medications will also focus on the increased risk that can be associated with their combined use with alcohol. The sedative effect of both pain killers and/or muscle relaxers intensifies with alcohol use and can easily become fatal when combined. Are these medications being used to treat a temporary condition? And if so, when will their doctor be taking their patient off of these medications? How long have they been taking the medication? Has the prescription remained constant or has the dosage changed over time? Is the client currently working or are they receiving disability benefits? Does the client have a stable work history? And is there any history of drug or alcohol abuse? We ask these types of questions so that, if it looks like a client may be eligible for a fully underwritten term or whole life insurance policy, despite taking these types of medications, we can then “paint a picture” for the insurance underwriter to consider. The picture that we want to present to the insurance company is of someone who is otherwise healthy despite taking a “risky” medication. A “picture” of someone whom the insurance company should at least consider offering coverage too. Aren’t sure how long you will be taking the medication, possibly indefinitely. Have a history of drug or alcohol abuse (including any DUI’s). It’s quite possible that you won’t be eligible for a fully underwritten term or whole life insurance policy which means you may need to consider a guaranteed issue life insurance policy or an accidental death policy that won’t require a medical exam or ask any medical questions. Prescription Marijuana and or Recreational Use Marijuana. Leave it at the door for a moment, so that you have a chance at understanding the current life insurance industry’s view of marijuana usage. Ok, so when it comes to marijuana usage, the insurance industry is all over the place. Some insurance companies are simply going to deny anyone who either states on the application that they use marijuana (legally or recreationally) or tests positive on a medical exam for marijuana usage. Conversely, there are other companies that will insure those who admit their usage upfront, however they may decide that since the applicant is using marijuana, they shouldn’t be eligible for the best rates any longer as a result or that regardless of how they “consume” their marijuana, they should only be considered a “tobacco” user at best; which unfortunately means that their insurance rate will be significantly higher than their “non-tobacco” counterpart. Lastly, there are a few insurance companies that understand that there is an enormous potential out there to take on these “high risk” marijuana users and offer them great “non-tobacco” life insurance rates. When applying with a “Marijuana Friendly” life insurance company, you’re typically going to find that those using marijuana recreationally (legally or illegally) will generally have a much easier chance to: first get insured; and second, get a great rate vs. those who have a prescription for their usage! Whatever other condition that they have. Now is this the end of the world? No, it just means that you need to give someone like TermLife2Go a call because we know what we’re doing when it comes to getting marijuana users life insurance. Now there are some out there that may think it’s unfair for us to include diabetic medications on a “Top 10 list of medications that insurance companies hate” because the truth is, diabetics can and often do get really good deals on their life insurance. The problem is, once someone is “labeled” a diabetic, the diabetic life insurance application is going to be considered a higher risk than someone who does not have diabetes. So let’s dive a bit deeper into the subject of diabetic medications and what it is that an insurance underwriter will be looking at to determine if one is an “acceptable risk” as a diabetic applicant. Getting Life Insurance as a Diabetic. Is the medication that you’re taking an injectable or an oral form? Common oral diabetic medications: Actos, Glucophage, Glipizide, Metformin, etc. I.e. what’s your current A1C level? Are you experiencing any complications from your diabetes? Unexplained weight loss, extreme fatigue, blurred vision, sores that are slow to heal, nerve pain, etc. And do you use any type of tobacco products? An ideal candidate will be one that is taking oral medications to treat their type 2 diabetes, with a low and stable A1C (7.0 and below is ideal). The client will also NOT: be overweight or use any tobacco products. Can you still qualify for life insurance if you’re not the ideal diabetic candidate? Sure you can, it’s just going to be more challenging, which is why it’s so important to work with a company like TermLife2Go who specializes in placing those “higher risk” diabetic applicants. With the remaining medications that we’re going to focus on, we’re going to need to switch gears a little. The reason being is because with the following medications, it’s quite possible that you may have been prescribed one or two of them for a different condition than what the insurance company is screening for. Or you may have been prescribed a medication that treats for many different conditions, some SERIOUS some NOT so serious. For example, let’s take a look at the drug Clonazepam. This is a drug that is commonly used to treat seizures, panic disorders and anxiety. Conditions which are all insurable depending on their severity. But the problem is, Clonazepam is also used to treat for folks suffering from a schizophrenic relapse, which is not a condition that is insurable with most, if not all, fully underwritten term or whole life insurance policies. So which is it? Are you suffering from occasional work related anxiety or are you suffering from a schizophrenic relapse? 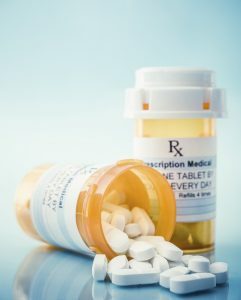 Insurance companies are going to see the Clonazepam on your prescription database history, and if they can’t determine what your medical condition is, they’re going to error on the side of caution and deny your application (See Simplified issue vs Fully Underwritten Life Insurance). So with that said, let’s take a look at a couple of different medical conditions and some of the more common medications associated with treating them so we can get a better idea about what insurance underwriters are looking for. Dementia is a condition which is usually uninsurable unless one is applying for a guaranteed issue life insurance policy (Top 10 Best Final Expense Insurance Companies). Donepezil, galantamine, rivastigmine, memantine, as well as some antipsychotic and antidepressants. Which means that if you are an older client and are taking medications that could possibly be prescribed for someone suffering from dementia, it’s going to be important for you to work with an agent that is not going to “rush” through the application process. Instead, you’ll want to take your time during this process so that a clear picture of your true health is established well before any insurance underwriter begins making his or her assumptions regarding your health. Ativan, Brintellix, Celexa, Cymbalta, Effexor Lexapro, Paxil, Prozac, Xanax, Valium, Viibryd, and Zoloft. Now the use of any one of these types of medications is going to raise a few red flags when it comes to applying for life insurance. The main reason for concern is that the use of these medications could indicate one of several different conditions ranging from mild situational depression all the way to suicide ideation. Generally speaking, once your life insurance application goes into underwriting, the insurance company will most likely order medical records from your primary care physician so that a better understanding of why you were prescribed one of these medications can be determined. However, knowing which insurance company is going to be more “lenient” when it comes to underwriting for life insurance with anxiety and depression becomes paramount. How long have you been taking your medications? Are you currently working, if so how long have you been with your current employer? Have you ever been hospitalized for your anxiety or depression? Is your anxiety or depression a major concern for you? The answers to these types of questions will give us a general idea about the severity of your anxiety and/or depression and give us a better idea about which insurance company is most likely to give you the best rate for your insurance! Schizophrenia is a chronic, severe and disabling brain disorder which is characterized by abnormal social behavior. Unfortunately, the causes of schizophrenia are not known, but it is believed that genetics, environmental factors and an imbalance of the chemicals within the brain most likely play a role in its development. Abilify, Clozapine, Geodon, Loxapine, Navane, Haldol, Risperdal, Seroquel, Thorazine, and Zyprexa. Even though we’re not aware of any insurance company that is willing to insure someone who has been diagnosed with schizophrenia for a traditional term or whole life insurance policy, we would encourage those who have been diagnosed with schizophrenia to look into possibly purchasing an accidental death policy combined with a guaranteed issue life insurance policy, neither of which will deny someone for being diagnosed as schizophrenic. Adderall, Concerta, Daytrana, Dexedrine, Focalin, Metadate, and Methylin. Once discovered in your medical history, these medications will generally pique the interest of any life insurance underwriter. The good news is that being diagnosed with ADHD isn’t automatically going to “wreck” your life insurance application. In fact, depending on the severity of your condition and how well you manage it, you still may be eligible for some of the best possible rates out there. First apply for coverage with one of the more lenient companies when it comes to underwriting for ADHD. And second, submit the application with a complete picture of how this condition affects our client’s daily living. Providing answers to the questions that the underwriters are going want to know about from the start helps make it clear to the underwriter that this applicant is a “good” risk. What kind of questions will the underwriter be interested in? Stable work history: is the applicant currently employed and how long have they been at their current employment? How long has the client been on their current medication treatment plan? Has there been any recent changes in their treatment plan? Has the client ever been hospitalized for their condition? Yes, our client has ADHD, but that does not mean they should be considered a higher risk for life insurance. Now if you aren’t currently working, and you’ve had to change medications several times over the past year or so or you’ve been in and out of the hospital for you condition, chances are you’re not going to be approved for a traditional term or whole life insurance policy. Which is why for those who have been diagnosed with ADHD we generally recommend that they give us a call first before actually submitting an application. Carbidopa/levodopa therapy, Dopamine agonists (Mirapex, Requip, and Neupro), MAO-B inhibitors (Eldepryl, Zelapar, and Azilect), Catechol-O-methyltransferase inhibiors (Entacapone and Tasmar), Anticholinergices (Cogentin), and Amantadine. Now the key to finding coverage for those with Parkinson’s disease is going to focus on the “progressive” side of this disease. What we mean by this is that if it looks like your condition has stabilized itself without any further progression of very slow progression, coverage for a traditional term or whole life insurance policy may be possible. However, if that’s not the case, it may be that you simply won’t be eligible for a traditional term or whole life insurance policy until your condition stabilizes itself. Additionally, knowing which company will be the most “lenient” is going to play a major role in determining success which is why we recommend anyone suffering from Parkinson’s give us a call so that we can more thoroughly review your case. Bipolar disease: also known as bipolar affective disorder (also known as: manic–depressive disorder, or manic depression), is a mental illness classified by psychiatrists as a mood disorder. Individuals diagnosed with bipolar disorder generally experience episodes of a frenzied mood known as mania alternating with episodes of depression. It is believed that only about 4% of the US population suffer from this disorder, with an equal prevalence between men and women. The most common prescription medications used to treat bipolar disorder are: Abilify, Clozaril, Geodon, Risperdal, Seroquel and Zyprexa. Is the applicant currently working or are they receiving SSI disability? If they are working how long have they been with the current employer? Is there any history of drug or alcohol abuse? Have they been hospitalized for their condition? What medications are they taking and how long has that treatment been in place? Depending on the answers to these questions will generally determine whether or not someone with bipolar disease will make a good candidate for life insurance. For more information, we would recommend that you give us a call so that we can help you determine which insurance company might be best for you. Common medications prescribed: Abacavir, Enfuvirtide, Etravine, Lamivudine, Maraviroc, Stavudine, Zidovudine, etc. Now in the past when it came time to try and help folks who have been diagnosed HIV positive, we would typically recommend two different types of products. The first would be an accidental death insurance product, which is a policy that only covers accidental causes of death, and the second would be some type of guaranteed issue life insurance policy which would be limited to about $25,000 in coverage. Not exactly ideal for most people’s needs. There have been new developments in the life insurance industry for HIV clients. Recently, some companies are beginning to recognize that being diagnosed as HIV positive isn’t like it used to be. In fact, there is a real push now to begin recognizing HIV as a “chronic” disease rather than a terminal one. Let’s face it, if treated properly, that’s exactly what being exposed to HIV has become. The good news is that there does seem to be at least one insurance company that is “Trial Testing” HIV approvals for traditional term life insurance. Unfortunately, they’re limiting this trial to just their internal agents and perhaps one or two additional insurance brokerages. If you are HIV positive, and you’re looking for a traditional life insurance policy, Prudential Life Insurance is the company you should call! And there you have it, our list of the top 10 medications that life insurance companies seem to hate. We’ll be the first to say that there are probably at least 1,001 different reasons why an individual may or may not be eligible for life insurance, and we could easily go down a least of over a 1,000 different medical conditions which could make getting life insurance impossible, but that was not our intent with this article. The “Top 10 Medications/Conditions” were chosen because they are conditions that we commonly encounter on a daily basis. Spend equal time researching your insurance agent and/or brokerage as you would researching the insurance company that you ultimately decide on applying with! TermLife2Go works with dozens of the top rated companies. Our #1 priority is to find you the best life insurance at the best price…for you! That means we tailor a policy specifically to you, because no two clients are alike. So what are you waiting for? Give us a chance to earn your business. Please call us today for a free consultation and experience the Termlife2Go difference! Thank you for reading our article, Top 10 Prescription Medications That Life Insurance Companies Hate. Please leave any questions or comments below. My name is Terri and Im 52 years old and Ive been on several different prescribed opiates over a 10 year period I’m currently on fentanyl patches which has been a life saver. I have degerative disc disease ,bulging discs(lower back)and arthritis. Ive tried everything from physical therapy, steroid injections,tens machines, back and neck braces . None if those things helped.I even went as far and had Anterior cervical fusion which worked for maybe two years and the pain came back worst than before.Ive tried maybe 3 times to apply for life insurance and I’ve been drnied because of my prescription history.I dont drink not even socially and I dont use illegal drugs.I never smoked marijuana. After 10 years I finally won my disability claim.Its a shame that it took so long to get monies I worked so hard for all them years for. I apologize Im getting off topic. What i need to know ia why are insurace companies denying people like myself ?If my Dr. believes I wouldd have a better quality of life whilst on this medication why is it a problem ? Ive never overdosed on anything Ive never failed a required drug test . Can you help ? At age 52, you will be eligible for some “guaranteed issue” life insurance policies assuming that you live in a state where those “types” of policies are available. As for other more “traditional” types of life insurance policies, you’re likely going to find that most carriers will not be willing to insure you simply because most life insurance companies want to avoid taking on too much risk. Now, we’d be happy to speak with you and see what options you might be able to qualify for and what those would cost, you’ll just need to give us a call. We would need to ask you a few more questions before we would know how to advise you. – Are you looking to increase your current coverage, or simply purchase an additional life insurance policy? (Keeping what you have already and simply adding more coverage to it could be the most affordable way of getting the total amount of insurance you’re looking for). – What insurance carrier are you currently insured with? – Why are you taking Tramadol? So, please be on the lookout for an email from one of our agents who will provide their contact information so that you can give them a call when you have a chance.